Earlier on I celebrated my 1 year anniversary for my blog (read the post here) and for all the reason in the world, I figured it would great idea to actually give back to the readers who brought me here in the first place. 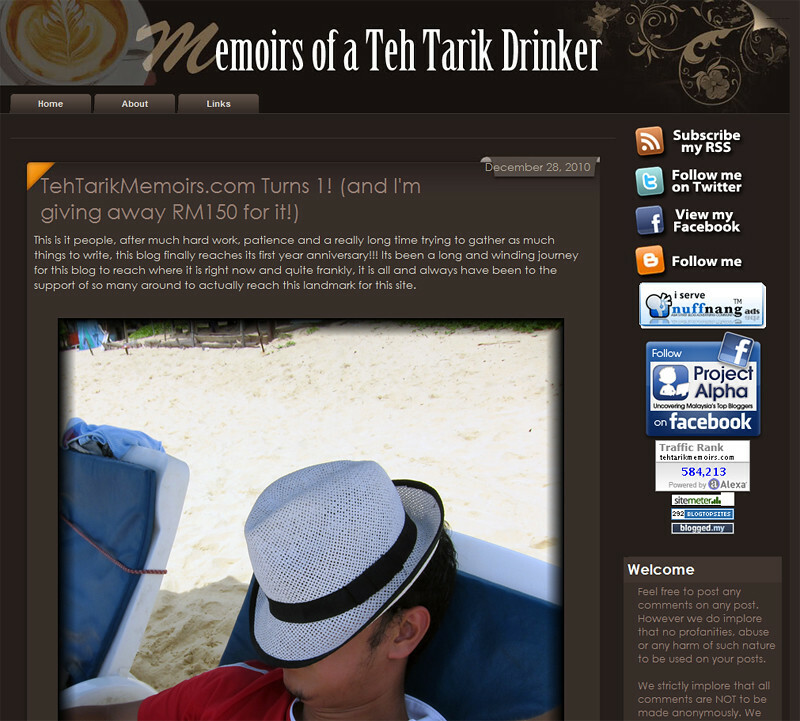 As mentioned in my earlier post, I'm giving away RM150 as a contest within my blog! Also mentioned in my earlier post, I have mentioned that I would not be the only person judging this post but some members of TeamTehTarik have agreed to judge as well for the best post for the competition so I figured it would be nice to introduce some of them who would be judging. For every competition, I honestly believe that there should be some female opinion as the female persuasion would definitely give a fair judgement for what exactly is a creative post. So I managed to get some of the female members of TeamTehTarik to agree to judge the contest! Of course for the technical part of the post, we needed some members that could judge based on the technical creativity and what better people that I can rely on apart from these two. I am sure that my judgement would rely on good hands with these two. So to recap, this is what you can win: I'm giving away RM150 shopping voucher of ANY CHOICE OF SHOPS you want!. It doesn't matter if it is going to be for movies, clothes, food, even if its for a really large stack of ice cream, its your choice! Also, for each of the judges, they will feature their choice of most creative blogpost on their site, and finally the winning post will get a feature post from mine! How do you do it you ask? Just click to any of the link here, here, here, here, or even HERE! nice post..and money involve.. wink wink..